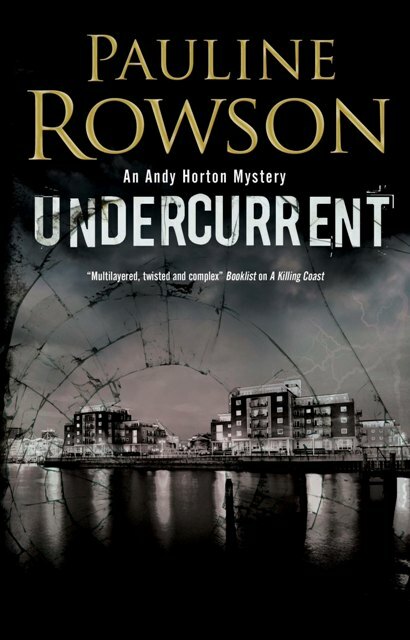 Undercurrent, the ninth in the popular Inspector Andy Horton crime series by Pauline Rowson has been published in Large Print by Severn House. It is also available in paperback, as an e book on Amazon Kindle and on Kobo and as an unabridged audio book narrated by Gordon Griffin. In Undercurrent, naval historian Dr Douglas Spalding is found dead in Portsmouth’s Historic Dockyard. It looks like suicide but Horton goes out on a limb to prove otherwise. Soon he's embroiled in a cover up at the highest level. The Inspector Andy Horton crime novels are set against the atmospheric backdrop of the sea in the Solent area of Portsmouth and the Isle of Wight on the South Coast of England where Pauline Rowson lives. The Horton murder mystery novels have been hailed as"compelling," "multi-layered" "full of twists and turns" "a great read for mystery lovers" and Rowson as "the Queen of misdirection". Rowson's flawed and rugged detective has been described by US reviewer Booklist as " an especially good series hero, a likeable fellow with plenty of street smarts and the requisite personal baggage – an abrasive supervisor and an antagonistic soon-to-be ex-wife. Procedural fans who haven’t already read Rowson should be encouraged to do so in the strongest possible terms." The Inspector Andy Horton series has been optioned by top UK television production company Lime Pictures, makers of Channel 4's Hollyoaks,who are seeking to bring the enigmatic sailing detective to the television screens. Translated into several languages Rowson's crime novels have received critical acclaim both in the USA and the UK. Pauline Rowson is author of thirteen novels in the Inspector Andy Horton series, two standalone crime novels and three in the mystery series, featuring former Royal Marine commando, Art Marvik, now an undercover investigator for the UK's National Intelligence Marine Squad. Undercurrent is available from all good book retailers and for loan in libraries in UK, USA and Commonwealth. For more information and media interviews please contact us.